On March 17th 1912, the day of his 32nd birthday, Lawrence Oates walked to his death, from the tent of the returning Polar Party, and into the realm of Antarctic heroes. 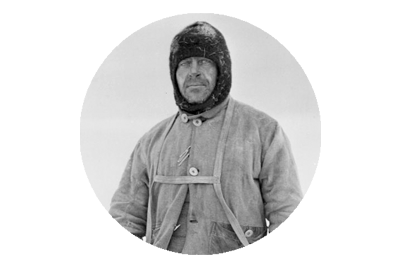 Oates had been suffering intensely and privately throughout the return march from the South Pole. It was only on March 1st 1912 that he had revealed the true and horrific extent of his condition to Scott, Wilson and Bowers. After Edgar Evans had died near the foot of the Beardmore Glacier on February 17th Scott, Wilson, Bowers and Oates had struggled to attain the required pace they needed to reach the supply depots, before their provisions ran out. The reasons for the paucity of their progression were manifold. The decline in Evans’ condition and his consequential demise had lasted the entirety of the decent of the 120 mile expanse of the Beardmore Glacier, they had experienced some of the most unseasonably adverse weather conditions ever recorded in the region, and all of the men were suffering from frostbite, scurvy and injuries from falls. Add to this the near impossible conditions for man hauling the sledge, as crystallised snow made the task akin to hauling it over sand, and it was obvious, their chances of survival were diminishing by the minute. To the credit of Scott, Wilson and Bowers they refused to leave Oates behind, and their efforts to sustain his progress had greatly hindered their own advance, seeing a required distance of nine miles a day, reduced to perhaps as little as three miles a day. On March 17th while the group sheltered from a blizzard, Oates took matters into his own hands and gallantly walked to his death, deeming his afflicted presence a burden upon the survival chances of his comrades. With those words uttered, Oates probably crawled from the tent, such was the extent of his suffering, into the Antarctic blizzard that raged across the Ross Ice Shelf, and was never seen again. The ‘Heroic Age Of Antarctic Exploration’ had enveloped another soul in the swirling whiteness of its icy grip, and casted the legend of the soldier who died, in an effort to save his companions, on the freezing, frigid Barrier, in the most inhospitable place on Earth. A brave man, an English gentleman and the most gallant of sacrifices, announced the accompanying rhapsody, whispered by the writings of Scott’s dying hand, and later trumpeted by a nation that struggled to come to terms with the tragedy of the loss of the Polar Party. But a more sober dissertation of Oates’ final act in the unforgiving Antarctic theatre, scripts rather differently to the accepted utopian sacrifice. 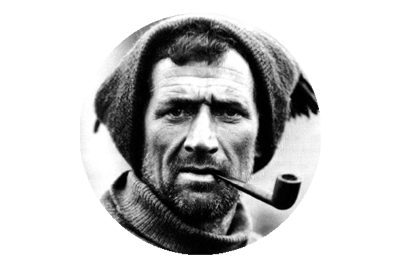 Firstly Oates had an extremely low opinion of Scott as both a fellow and indeed as the leader of a polar expedition – this conjecture being formulated long before either man had taken a step towards the Pole on the Southern Journey. Prior to the departure of the expedition, Oates who had become disillusioned with life in the army had paid the then enormous sum of £1,000 to join the Terra Nova Expedition, a financial contribution Scott would have been grateful to raise, and Oates’ experience with horses was an ideal plus. But Oates was disgusted when he first set eyes on the ponies Scott had bought for the expedition, deeming them simply unfit for purpose. 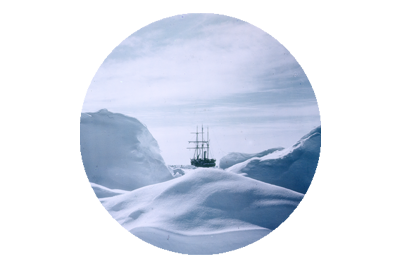 Oates was then among the number of the depot laying team that had set off with Scott in January 1911, to lay the supply route for the assault on the South Pole, and again the two men had disagreed. Scott had become increasingly concerned with the welfare of the ponies, and he decided to lay the supplies for One Ton Depot, 30 miles short of the intended location, and return to base with the animals. Oates argued that they should proceed to the intended point, with the ponies who would be shot as they weakened, and used as meat to sustain the efforts of the men, but Scott overruled these suggestions. Ironically, one year later when Oates walked to his death, it was in the vicinity of the intended establishment of One Ton Depot, and one could surmise that at this juncture of their journey, Oates’ dislike of Scott, had festered into a deep loathing. Suggestion that Oates was prepared to sacrifice himself for Scott, Wilson and Bowers, but Scott in particular seem frugal at best. What is more feasible is that Oates had reached an apex of suffering, that neither his mind or body could endure any longer. His colleagues, themselves wasted, weak and worn were wholly incapable of offering any solution to either his sufferings or his inabilities, and he then decided to commit suicide. 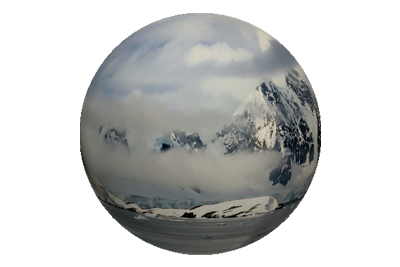 It must also be noted that Oates had not walked to the South Pole, nor had he walked back across the Plateau, or down the Beardmore Glacier, or back across the Ross Ice Shelf, to the point of his demise – he had limped the entirety. As a result of his previously mentioned war wound, Oates had been left with one leg, two inches shorter than the other, which makes Scott’s selection of him as one of the men to endure the complete excursion, truly baffling. No-one will truly know what thoughts crashed through the tormented mind of Lawrence Oates, as he sought out his death in the comforting arms of an Antarctic blizzard, other than the horrible realisation that he needed to die. Whether it was sacrifice or suicide, it was a deeply tragic end to the life of a brave soldier, a brave explorer and a man of immense courage and dignity. Oates also went to his death unaware that he was a father, to a child born in Ireland. Pingback: Scott Leaves Cape Evans - Destination The South Pole.